The decades-long expansion of the U.S. prison system has captured the public’s imagination, but an equally historic development remains hidden in plain sight—the rise of a supervised society. 48,000 laws, regulations and sanctions constrain the mobility of 19.6 million Americans estimated to have a felony conviction and some 79 million with a criminal record, while changes in liability law make third-parties responsible for their actions. Consequently, a grandmother can be evicted for housing a formerly incarcerated loved-one and employers may be sued for hiring them, while “good landlords” are expected to deny their applications. Excluded from the labor market, family life and the formal politics of the city, people with criminal records are rendered dependent on the goodwill of others to provide for their basic human needs, yet judged by them to be the least desirable candidates for help. The laws that target and exclude them grant almost everyone they encounter inordinate power over their lives. Thus, conflict with an employer, parole officer or intimate partner could lead to job loss in a hostile economy, a return to prison, or a bout of street homelessness. This new social arrangement has changed the nature of their social relations and introduced a profound, yet unaccounted-for vulnerability—they are subject to the whims of others. Given the size of this population and the degree of their exclusion, mass supervision has altered the nature of urban sociality. What must life be like under these conditions? How do people with criminal records get by each day? What does this mean for family life, intimate partnerships, and politics? Is there a way out? My Antipode Foundation Scholar-Activist Project, the Detroit Reentry Study, addresses these questions, offering a political ethnography of prisoner reentry. Drawing on fieldwork primarily conducted in Detroit, I narrate the experience of reentry and theorize anew what prisoner reentry is and what it produces within the urban landscape. I follow men and women on the day of their release as they look for work, housing, and companionship in Detroit, doing their best to stay out of jail. I observed courtrooms and prison treatment programs, participated in services at halfway houses, and visited the homes of formerly incarcerated people and their families. I also followed formerly incarcerated activists as they sought to bring about meaningful change in criminal justice and urban poverty policies that regulate their lives and hem them into their neighborhoods. Put differently, the grant allowed me the time and space to go “where the action is”—to the constellation of actors that shape former prisoners’ post-incarceration lives in the low-income communities from which they are disproportionately arrested and returned. I find that mass supervision has inaugurated an alternate legal reality for formerly incarcerated people, changing the nature of their interactions with almost everyone they encounter in the so-called inner city. Once accused of a crime, formerly incarcerated people are subjected to laws that others are not (collateral consequences) and have access to benefits that others do not have access to (prisoner reentry programs, felon friendly policies, support from charitable societies and social service organizations that specialize in the care and control of formerly incarcerated people), but are made responsible for things that others are not responsible for (checking in with parole officers, convincing others that they have “paid their debt to society” in exchange for basic human needs, etc.). In this way, the former prisoner has come to occupy a unique form of political membership and an alternate citizenship tract—what I call carceral citizenship. I show how mass supervision operates as an engine of social inequality, and how prisoner reentry functions as a social institution, classifying social actors and stratifying goods and services accordingly. Thus, moving beyond theories of social control, this project revealed how mass supervision has produced new social forms, interrogating its role in marking, managing, and producing new lifeways for the criminalized poor in the “inner-city”. In my work, I discuss the project’s implications for how we theorize the state, its role and force in the lives of the urban poor, and how race, social policy, poverty, and gender are embodied and understood in the carceral age. 1. Using leads from my work with formerly incarcerated activists in Michigan, I have identified a national activist criminal justice reform network led by people with criminal records. I have been following them, using my personal funds and small research account, for the last year. I will write about their work to change the social life and politics of the city over the next year and use these findings to launch my next study on the intersection of religion, urban poverty and criminal justice policy. 2. I have submitted two articles based on my findings to peer reviewed journals. The first, “Prisoner reentry as a social institution and the ‘making up’ of the ex-offender”, is currently in revision to resubmit to Criminology. The second, “Carceral citizenship”, was published in Theoretical Criminology. I am working on a third, “For the least of these”, to submit to Antipiode by May 2018.
activists and another 30 formerly incarcerated people, and followed them for one year. I am using findings from this data for the book. I have greatly benefitted from the generous support of the Antipode Foundation provided to finish data collection for the Detroit Reentry Study. I have leveraged these funds to conduct research in Michigan and have plugged into national activists networks to continue this work in other global cities. 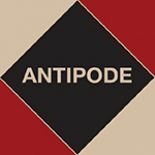 I greatly appreciate the support and look forward to working with the Antipode Foundation in the future.